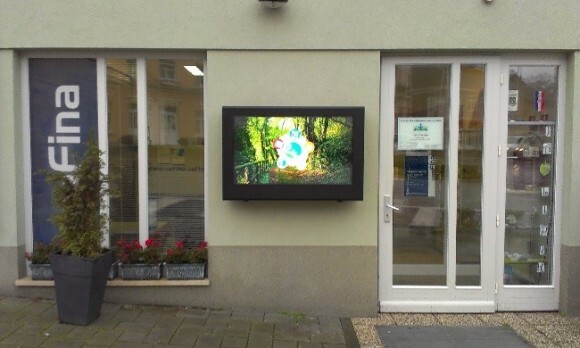 Is Outdoor Digital Signage Eco-Friendly? Last updated on October 5, 2015 October 23, 2015 by Daniel Waldron for Armagard Ltd.
You’re considering upgrading from print-based advertising, right? That’s why you’re here, correct? You’ve already made the transition to online, but the problem is, you’re not reaching the customer on the ground. You know, those customers who enjoy a visit to the shopping mall. The only way you know how to reach them is by using posters or billboards, which require huge amounts of paper and create even more wastage, a black mark against your business in the ‘eco-friendly’ stakes. Now, something else is bothering you about opting for digital signage, it’s probably further down your objection list, but it’s there nonetheless. You’re questioning the environmental credentials of outdoor digital signage aren’t you, asking yourself is digital signage eco-friendly? 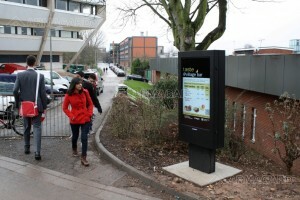 Outdoor digital signage is the logical, eco-friendly alternative to print-based advertising. The answer should be yes and that’s all that matters when it comes to business. After all, anything that reduces your environmental footprint is a huge plus, digital signage included. Imagine, if you will, you’ve had 1,000 posters printed for a new promotional campaign, for which you’ve waited a couple of weeks. You set the boxes down, open the first one up and catastrophe, immediately you spot the glaring error. The posters end up in landfill and you have to request another print run. That’s one serious waste of paper. With errors on digital signage content, there’s no such drama, content can be quickly edited without further damage to the environment. Question. What do you do with your posters after your campaign has finished? Do you recycle? Kudos if you do. However, chances are they’re probably disposed of with general waste and now occupy a landfill site. 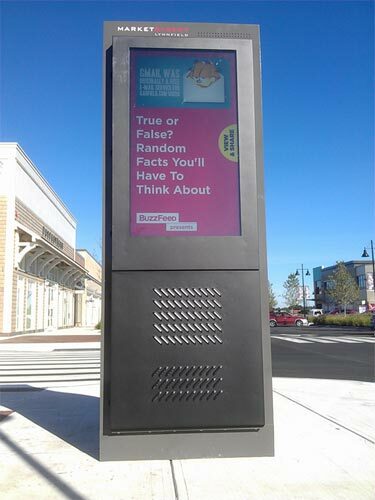 Outdoor digital signage reduces paper waste ending up in landfill. Think of a quick service restaurant with 100 outlets worldwide. Each outlet is still using posters to display their menus. A call comes in from head office, “we’re adding new items to the menu and our posters need changing.” That’s a lot of paper to dispose of and a whole lot more being used to replace them. Consider your favourite quick service restaurant, imagine them in this scenario and then think about how often they add a new menu item. It could be every week, every month and every time they run a promotional offer. Outdoor digital signage will reduce the environmental impact of your business. Irrespective of the frequency at which these menus are changed, can you envision the amount of paper they would use in a year simply by replacing menu posters on a weekly or monthly basis? It’s a lot! Based on this example alone, digital signage holds the upper hand in the eco-friendly stakes, instantly eliminating paper wastage. Yes. However, there’s still an environmental impact for recycling. You dispose of your posters on a weekly or monthly basis, responsibly. That’s great. Now, consider how your waste makes its way to the recycling plant. No doubt it’s picked up by a fuel-guzzling truck that’s pumping out fumes all the way to the recycling centre. If you’re disposing of such waste on a weekly or monthly basis, the environmental implications are more harmful than transporting a digital signage network just once to your location. Additionally, the machinery required to sort recycling and process it into something else, uses a lot of energy. Nothing is 100% ‘eco-friendly’, to suggest that outdoor digital signage is would be absurd. However, it’s a marked improvement on print-based advertising methods. Yes. LCD screens do require a considerable amount of energy to be powered. However, technological advancements continue to make LCD screens more efficient. In fact, LED screens offer an eco-friendly alternative to LCD screens. They use less electricity and tend to have a longer lifespan, meaning they avoid landfill for considerably longer. Yet, the longevity of LCD screens can be extended by introducing a digital signage enclosure. Enclosures work to keep screens cooler through the use of fans and other cooling devices, preventing malfunction and stopping them ending up in landfill ahead of their time. Again, this reduces your environmental impact long-term. Compared to churning out endless reams of printed posters, outdoor digital signage is a massive step forward in terms of reducing your company’s environmental impact. A day is coming when businesses will be severely reprimanded for failing to adhere to environmental guidelines and that includes the overuse of paper. If you think the world isn’t taking the environment seriously, you’d be wrong. No doubt you’ve read up on the latest saga concerning vehicle manufacturing giant, Volkswagen. If you haven’t, they’re currently caught up in a scandal over cheating on emissions tests. The impact of humanity on the environment has become a big issue among world leaders in recent years and while you may feel they’re being ‘preachy’, they have the power to bring your business into line with environmental guidelines. If ever you needed an incentive to upgrade from print-based advertising to digital, consider the future demands that will be placed on your business to conform to these environmental guidelines. Today Volkswagen, tomorrow it could be your business. Outdoor digital signage will become your eco-friendly ally and investment in it will cost less than any levy or fine likely to hit businesses in the future as world governments look to clampdown on environmental concerns. Reduce your environmental impact with Armagard outdoor digital signage. Complete the on-screen, ‘Quick Enquiry’ form and get a call back. Alternatively, call us direct on 1-866-434-0807. What’s Stopping You from Buying Digital Signage? 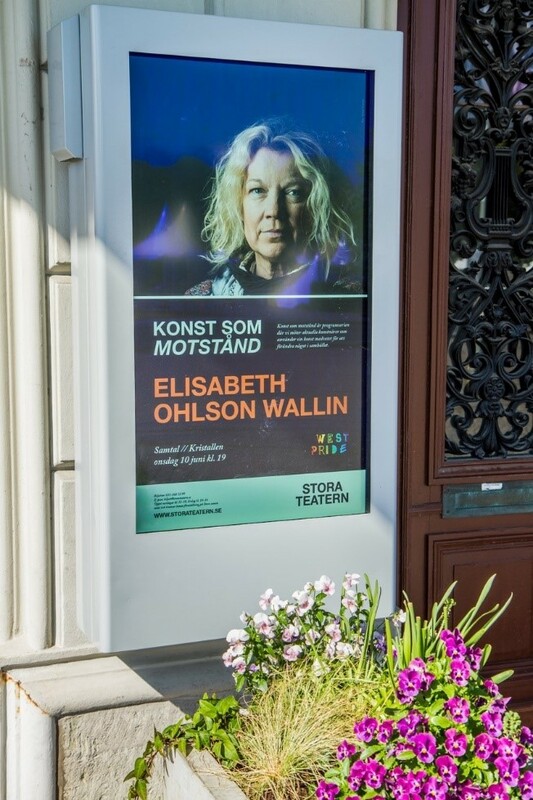 Outdoor totem for digital signage / message display. Fill in the form or call 1-866-434-0807 for more information on how an Armagard enclosure can work for your business. © Armagard USA 2019. All rights reserved.